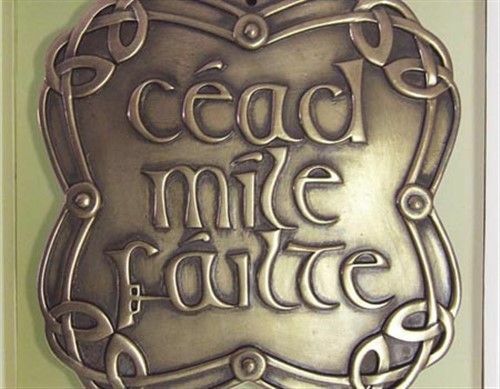 Céad Míle Fáilte literally means "One hundred thousand welcomes" in the Irish language. It is the traditional greeting when welcoming guests into an irish home or place of business. 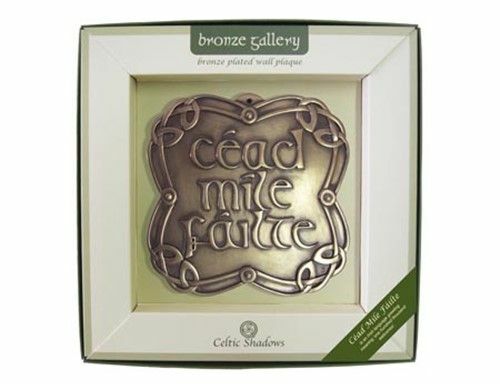 Each hand crafted, cold cast plaque is plated in bronze and carefully polished to highlight the elaborate detailing.